GET YOUR 10% CASH BACK! 50% ALL DAY Sunday! From 00:00GMT until 23:59 GMT, all members are invited to receive a 50% bonus up to 50.00 on every deposit of £/€/$30 or more made! Unlimited claims. 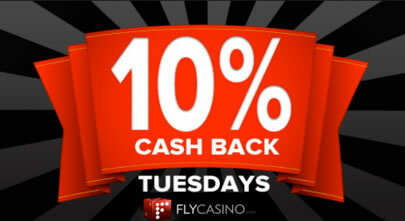 10% Cash Back Tuesday! From 00:00GMT until 23:59 GMT, all members are invited to receive 10% unlimited cash back on your net deposited cash losses for the day.